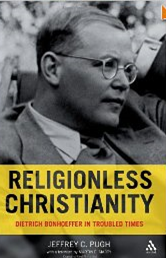 Dietrich Bonhoeffer, the Christian martyr, once prophesied from a Nazi concentration camp that there would come a day when there would be a religion-less Christianity. With ambivalence he looked into the twenty first century, and with a prophetic eye saw that while Christianity might increase, institutional religion would go into decline. There is now statistical evidence that he was correct. 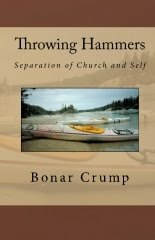 Studies indicate that in the Western world church attendance is in decline. The irony of this is that while church attendance is in decline, people are apparently more interested in spiritual things than ever before. Books dealing with religious subject matters top bestseller lists. Young people turn out in mass for concerts featuring the performance of super-star Christian artists. Massive rallies of men and women are filling football stadiums and civic auditoriums. It seems as though God consciousness is alive and well even as church attendance withers. I recently interviewed some key sociologists and asked about this new spirituality. They concluded that it had three distinguishing characteristics. It has been said that all heresies are simply exaggerations of neglected aspects of traditional Christianity. I believe that is true. And I believe that unless churches recover ministries of healing, environmentalism, and meditation, people will leave to have these concerns met elsewhere.